I've said it before and I'll say it again: 2012 has been a great year for reading and a great year for this blog but I want to change up a couple things so I figured that now would be the perfect time to make some reading resolutions for 2013. Read more of my own books: Oh woe is the book blogger who gets all of these free, shiny books in exchange for a simple review. Man, I did not do so well on getting through my own books this year. I got way too over-zealous in reviewing solicited books. I am going to try to make a strong effort to read all of those lovely books that are already on my shelf. 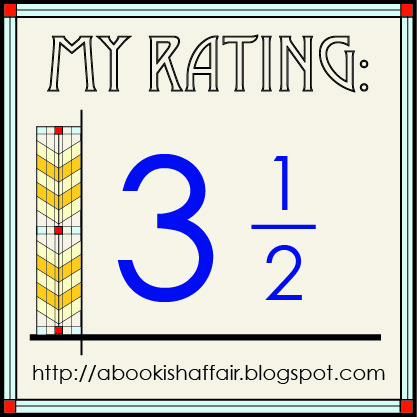 Read ahead: I'm going to really try to get ahead with my reading so I can write reviews faster and post them longer in advance, which may make me a little less stressed and nutty. Change up my reading diet: Even though I'm an eclectic reader, I definitely have a heavy focus on fiction. I want to read more non-fiction in 2013 as well as more classics. Here's to being more well-rounded! Literary Locale: I started this little weekly feature on my blog and then stopped. This needs to change. Literary Locale is coming back! 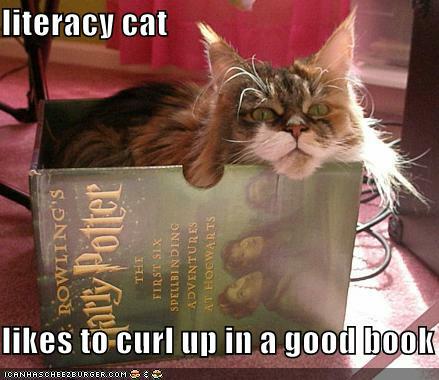 Do you have any bookish resolutions for 2013? 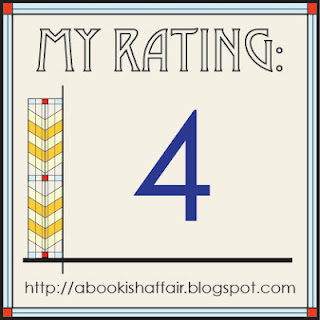 Not all books can get 4 or 5 stars. Here is a list of books that did not make the A Bookish Affair cut and have the dubious honor of being my least favorite books of 2012. What were some of your least favorite books this year? Come back tomorrow to see my list of my least favorite books! Guys, the weather is getting a little colder and now is a great time of year to sink into some good books. I wanted to let you all know about this special promotion going on today only: Friday, December 21! There are a ton of great books that will be only sale for a mere 99 cents. You can't beat that deal! Check out the list of books for sale in the link below! From Goodreads.com: "Henry Miller was a larger-than-life all-American writer. His work was ground-breaking and breath-taking. But he could also talk. Until the day he died, he had what he called the “gift of the gab.” At his own table, laden with the food he loved and surrounded by famous writers, actors, painters, musicians and fans, Henry held forth on every topic imaginable. What he said was rollicking, open, honest, revealing of himself and the fabulous assortment of huge personalities he’d met in his long life, as well as ultimately showing a side of Henry few outside his circle ever saw. In this warm and charming memoir of her years under Miller’s Pacific Palisades roof, artist and model Twinka Thiebaud captures his table talk with an unerring ear…as well as penning her own intimate impressions of one of America’s greatest writers." While I have never read anything by Henry Miller, he is one of the most infamous American authors. Known for such works as the much discussed and debated "Tropic of Cancer," he is still remembered as one of the most larger than life American authors. The author of the book goes to live with Miller as a young woman and does a lot of work around the house for him. In the midst of doing all of the work, Ms. Thiebaud gains a lot of insight into what makes Miller tick. The book is divided up into two sections. The first section is more personal to the author. It covers how she came to find herself in Miller's house. It also covers how she got to know him and many of her interactions with the author. It also covers many of her own observations of the author. 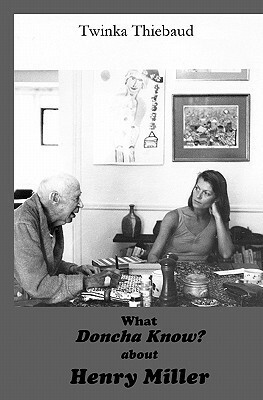 The second section is sort of a series of essays told from the point of view of Henry Miller. One thing that Ms. Thiebaud makes clear in the beginning of the book is that one of Miller's favorite pastimes was to talk anyone who would listen's ear off about a vast variety of subjects. It was interesting to see his perspective on so many different people and things. 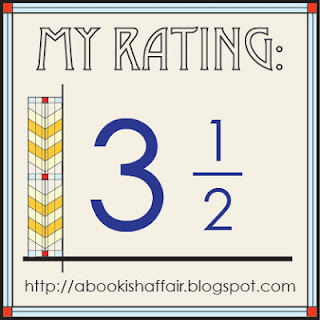 Bottom line: Even if you are not a Henry Miller fan, this is still a great book for all those who love to read to enjoy. From Goodreads.com: "While the mothers in Siberia wait for their soldier sons to return from the war in the west in 1945, the eight year old Eduard secretly jumps on board the trains heading in the opposite direction, heading west, towards Leningrad. Placed in a Siberian orphanage as a child because his parents were arrested as public enemies there is only one thing he wants: to go back home to Leningrad and to find his mother again. It is not only his desperate courage and his youthful agility that ensure his survival, it is also his artistic talent. With his agile fingers the boy is able to bend wire in the shape of profiles of Lenin and Stalin, as if in silhouette. He uses them to cheer up the invalid war veterans on the train stations returning from the front, who then give him a piece of bread, a bowl of soup and who, in a spirit of comradeship, warn him of the railway police and the secret service henchmen wanting to send the runaway back to the orphanage. Eduard spends more than six years on the run, experiencing close encounters with post-war Russia where life and fate have become synonyms. 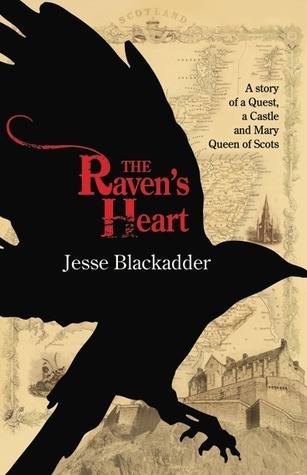 He encounters other stowaways, professional beggars, soldiers returning from the war and wartime profiteers, the mothers of soldiers and war invalids, Chinese from the Ural, Cossacks dealing in hashish, Bashkir Estonians, Russian penal colony escapees and, time and again, orphanage directors. In order to survive the winter he often registered himself voluntarily in the next orphanage, each one always a little closer to the West, running away again before the servants of the Stalinist state are able to send him back to Siberia. The memoirs of an old man who, as a boy, learnt to find his way between extortionate state control and marauding banditry, the two poles that characterise Russia to this day. A story about the awakening of artistic talent under highly unusual Russian circumstances." I was very excited to read this book. I love books about survival stories and it's even better when they are non-fiction survival stories. 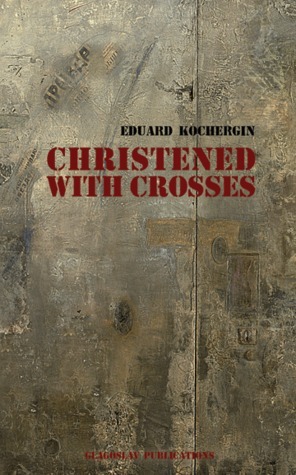 "Christened with Crosses" is just the sort of survival story that I like. At a very young age, the main character is forced to make his way across Russia as a young child. There are probably not many people in the world who would have been able to make that same journey and thrive the way that he was able to thrive. It was truly amazing. The story takes place during the 1940s, which if you know anything about the Soviet Union during that time, you know that it was not the kind of place you would like to be if you were on the wrong side of the government. By being a veritable orphan, the author is just that. He escapes in and out of different orphanages. Orphanages were not places you wanted to be in the Soviet Union. The author vividly describes some of the things that happened to him and those he knew and some of it was definitely hard to read. Through this book, we get to learn a lot of the stories of different people in the Soviet Union. I think that because the author is Polish, he has an especially interesting story. He is in a country where at first, he really doesn't even know the language of the places where he is staying. Language, we know, is an integral part of being able to get along in the world. The author comes across so many different people from different walks of life. He tells not only his story but many of their stories too. Some are happy stories. Some are sad stories. Everyone has been affected by the new reality of the Soviet Union during the end of WWII. Bottom line: this book is often hard to read because of the hardship but it is worth the read. Okay, I have several giveaway winners to announce! From Amazon.com: "In the coffee-growing highlands of Ethiopia, an Italian scientist on a plant collecting expedition discovers a local medicine man dispensing an apparent cure for AIDS. As the medicine man’s teenage daughter reveals the plants behind the cure, their lives become irrevocably intertwined. 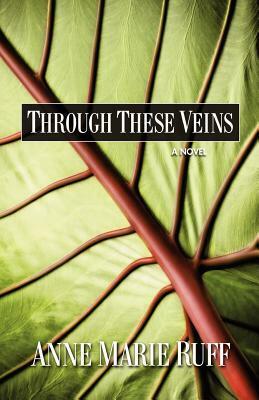 Through These Veins weaves together the dramatically different worlds of traditional healing, U.S. government funded AIDS research, and the pharmaceutical industry in an intensely personal, fast-paced tale of scientific intrigue and love, with both devastating and hopeful effect. All profits from the sale of this book will be distributed to the Campaign for Access to Essential Medicines of Médecins Sans Frontières/Doctors Without Borders and the Institute of Biodiversity Conservation in Ethiopia." "Through These Veins" asks the question about whether the medicine we rely on for some of the most harmful diseases in the world are the result of a scientific miracle or a sneaky business decision made by some suit on the basis of charts and a chance for profit. It's a very real question. I think we all want to believe that pharmaceutical companies have their heads in the right places when it comes to what medicines they come out with but those companies are just that, companies. While it would be nice if they were truly altruistic, they still need to make a profit so it's conceivable that if a drug would not turn a tidy profit, they may choose not to manufacture it or wait until the business aspect is better looking before they put it out. This book explores this topic, which was totally fascinating to me. I do wish that the book had touched on this dilemma a little bit more. This is definitely a good book for those who like a lot of different settings. You get to see Ethiopia and Washington, DC for starters. My fellow armchair travelers will definitely enjoy this aspect. I don't get a chance to read about any African countries all that much so it was nice to read about a place like Ethiopia that was so new and different to me. I really liked the characters in this book for the most part but Zahara was definitely my favorite. Zahara is the daughter of a medicine man in a remote village in the middle of Ethiopia's coffee highlands. She is incredibly smart and strong. Those characteristics are definitely on display as the book goes on. She goes through a lot throughout the book but she get through all of that showing so much courage. Bottom line: A good read about miracle medicine. You're in the mood for a light read. 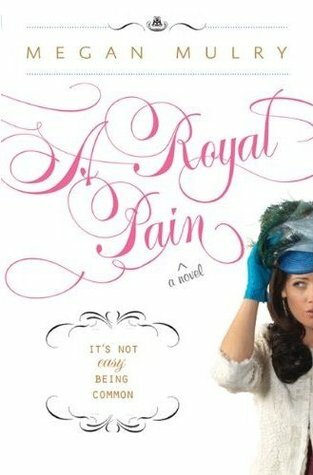 From Goodreads.com: "Bronte Talbott follows all of the exploits of the British royals. After all, they're the world's most preeminent dysfunctional family. And who is she to judge? Bronte's own search for love isn't going all that well, especially after her smooth-talking Texan boyfriend abruptly leaves her in the dust. Bronte keeps a lookout for a rebound to help mend her broken heart, and when she meets Max Heyworth, she's certain he's the perfect transition man. But when she discovers he's a duke, she has to decide if she wants to stay with him for the long haul and deal with the opportunities-- and challenges-- of becoming a royal." Oh! This was such a fun book! Sometimes you just want a light, fun read that you don't have to use too much brain power to read. This book was definitely brain candy for me. 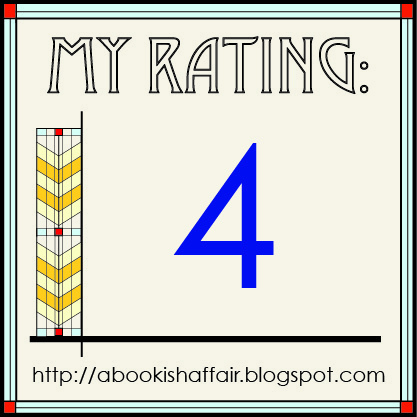 It's a smart romance with a loveable main character that was so much fun to read about. I absolutely loved Bronte. First off, what a cool name! Second, she is definitely someone that I think would be a lot of fun to hang out with. She's bright. She's funny. Oh, and she has an obsession with the British Royals, which if you've read my blog for any amount of time, you may realize that this is another area where we have a ton in common. Bronte is the kind of girl that I'd love to go out for coffee, tea, or a cocktail with in order to dish on our favorite royals. I think every woman dreams of being swept off her feet by someone who makes you feel like royalty even if they don't come with a title. After dating Mr. Wrong, Bronte is ready to find Mr. Right, which she quickly thinks she finds in Max, who at first, seems to be a super normal guy with a lovely British accent. Bronte's Max comes with a title, unbeknownst to Bronte. I liked the romance in the book but I didn't always like Max. He seems charming at times but he also seemed sort of stuck in the old ways of royalty sometimes as well. He was really sort of a mixed bag for me. This book is definitely heavy on the romance factor. It also has some pretty spicy scenes that may make gentler readers blush quite a bit so be warned. Bottom line: this is a fun, modern day Cinderella story that would be a good choice to read when you are looking for a book to just relax with. Format: I received a copy from the PR; however, this did not affect my review. You have a love for language. From Goodreads.com: "Translation. It’s everywhere we look, but seldom seen—until now. Found in Translation reveals the surprising and complex ways that translation shapes the world. Covering everything from holy books to hurricane warnings and poetry to peace treaties, Nataly Kelly and Jost Zetzsche offer language lovers and pop culture fans alike an insider’s view of the ways in which translation spreads culture, fuels the global economy, prevents wars, and stops the outbreak of disease. Examples include how translation plays a key role at Google, Facebook, NASA, the United Nations, the Olympics, and more." To me, translation is absolutely fascinating. You take one idea in one language and turn it into something that someone else with a different language, a different culture, and perhaps a different life experience can fully understand and digest. In a way, it is sort of a real-life magic trick, which is a very cool way to think about it. 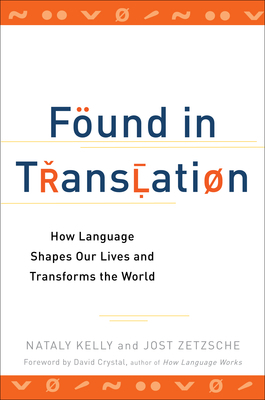 "Found in Translation" is really a book about the importance of translation in a place where we don't all share the same language, culture, or experiences. Translation is how we understand each other. The book is full of real life examples and anecdotes of why translation itself as well as the way one translates is so important. 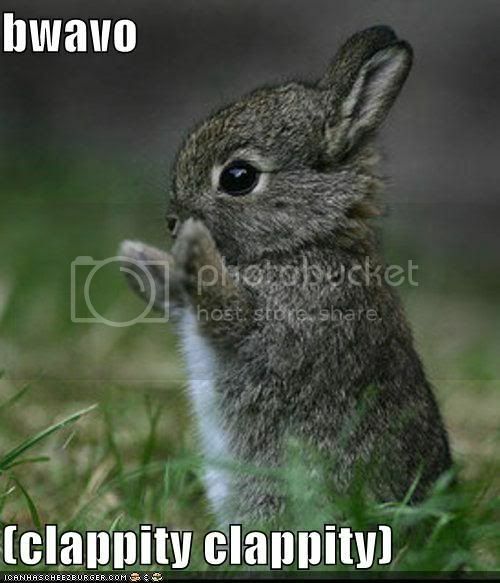 Some of the examples are sort of funny and some even made me actually laugh out loud. This book thoroughly covers why translation is important but it does not really go further than that, which makes the book a little basic but still very enjoyable. I thought the book was fairly well written but I felt like the author could have done a little more to explain some of the foreign language in the book (for example, it's not easy for an English speaker with little knowledge of the Cyrillic alphabet to look at a Russian word and really "get" what it is saying. All I can say is that I am happy that I know how to at least sound out words written in Russian). Bottom line: This a good book for anyone who enjoys the art of language.